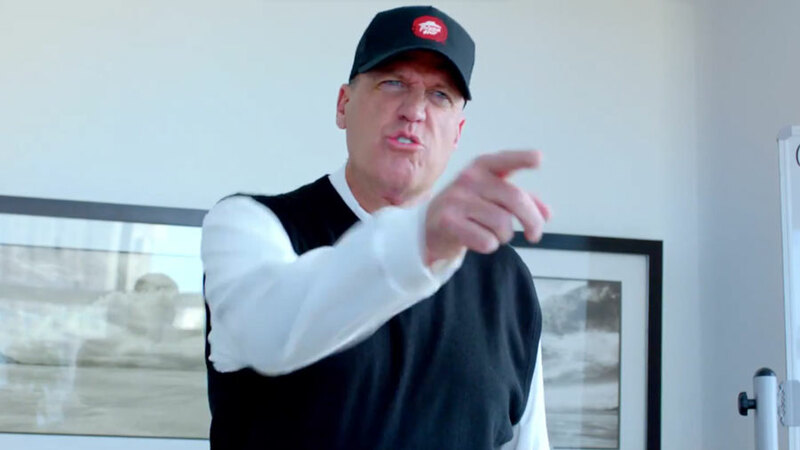 He may not be stepping in as head coach until next Season, but we’ll still be seeing Rex Ryan on our TV’s for now… in commercials for Pizza Hut. Watch as the hot-tempered coach blows up at some unsuspecting sports fans and ad execs while hocking the new (and delicious-sounding) triple cheese covered stuffed crust pizza. Ryan is joined in the clip by Dallas Cowboys quarterback Tony Romo who takes his own turn pushing pizza before the Super Bowl on Sunday. Two questions: First, what can we expect Coach Ryan to endorse once he’s settled in the Queen City? Second, do you think those guys are going to finish that leftover crust? Pat Sandora-Nastyn is a writer and video producer. You can find him talking about pop culture and relationships with his husband, Billy, on their super creatively titled YouTube channel Billy & Pat.